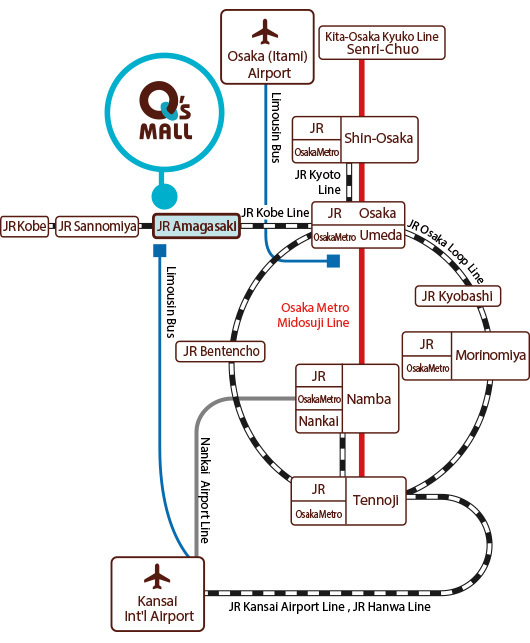 The nearest train station to Q’s Mall is JR Amagasaki Station on JR Kobe Line, JR Takarazuka Line or JR Tozai Line. 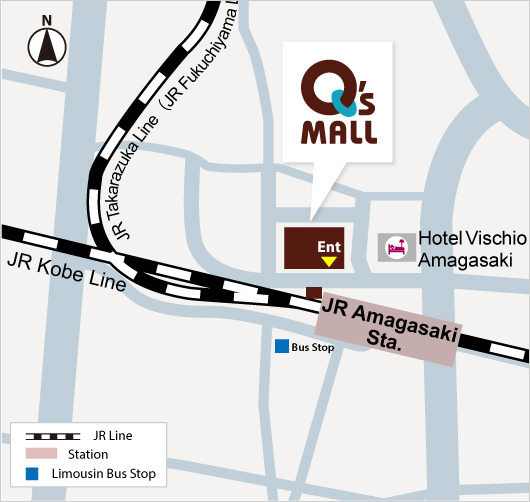 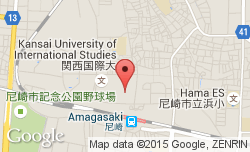 1-minute walk from JR Amagasaki Station (North Exit). 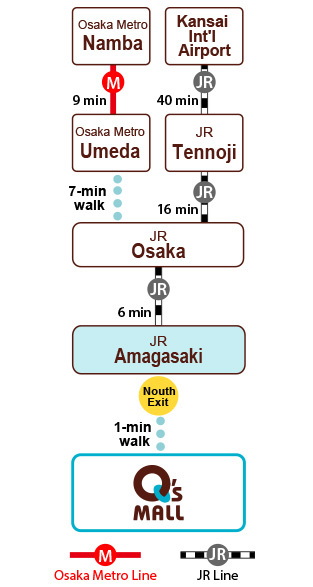 You can catch an airport limousine bus at the airport and get off at JR Amagasaki Sta.